Just like Google Cardboard, Mattel's View-Master plans are getting serious with the new View-Master DLX VR headset, which launched at the New York Toy Fair this week. Based on the iconic 75 year-old View-Master design, the DLX VR adds headphone support, better lenses and a focus wheel, and will be the first Cardboard viewer to be sold at Apple stores. The new DLX VR, which should cost around $40 when it launches this autumn, will have the brand power that all those me-too mobile VR headsets are missing. It will also work with more smartphones than its predecessor as the smartphone mount inside has been redesigned. Also new is the focus wheel as well as those improved optics and a redesigned latch so it won't pop open mid-VR experience. With Samsung planning some Gear VR news at MWC and rumours swirling around that Google is working on its own mid-range VR headset, it looks like a busy year for accessible, mobile VR kit. 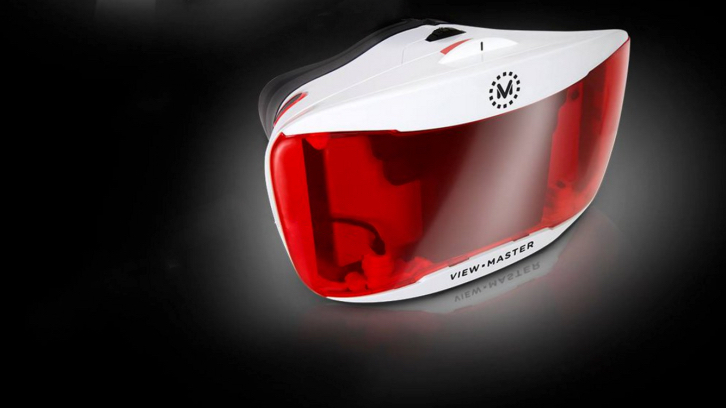 And the View-Master DLX VR, which looks neat and now has a respectable set of features, could sell big.